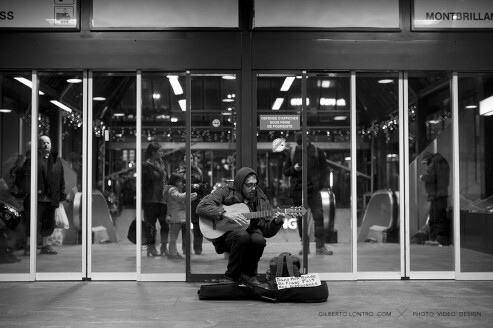 Busking in the centre of Geneva and reminding us of the value in small gestures: A Franc in my world makes a big difference. 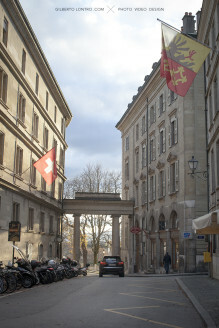 A Porsche Cayenne drives through the archway of Geneva’s Vielle Ville. 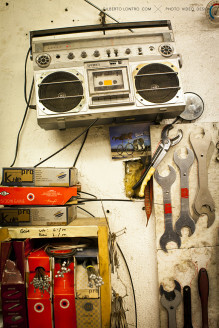 The perfect companion to a bicycle repair shop is an old school ghetto blaster, in Geneva, at Peclôt 13. With the onset of winter, the rain will bring the snow, and with it comes the storm. 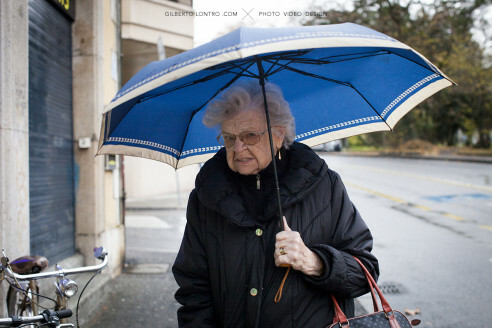 This lady embraces the weather but not with the best of spirits. 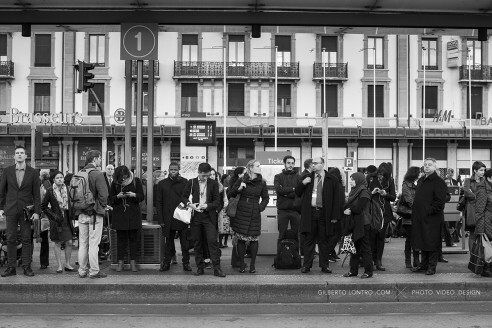 Waiting on a delayed tram in Geneva isn’t so common. So when it happens, it makes for an interesting sight, yet frustrating experience for commuters. 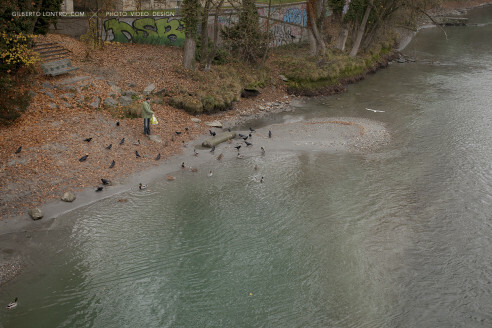 Taking advantage of a mild and wet autumn morning to feed the ducks on the Arve in Geneva. 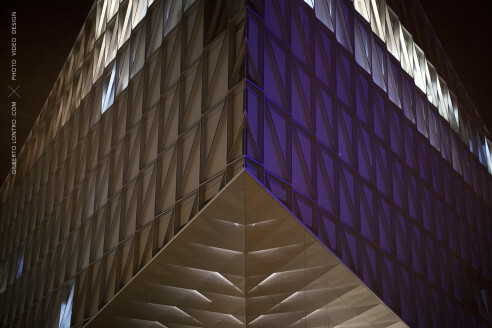 I can’t get enough of the new Japan Tobacco International headquarters in Geneva. 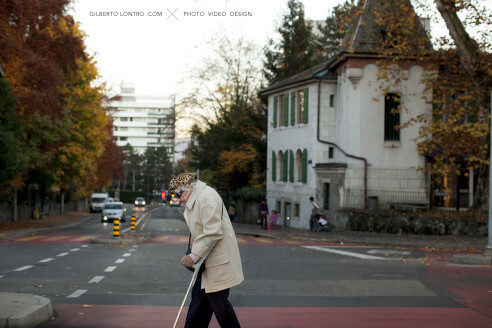 Crossing the street in Petit-Saconnex. 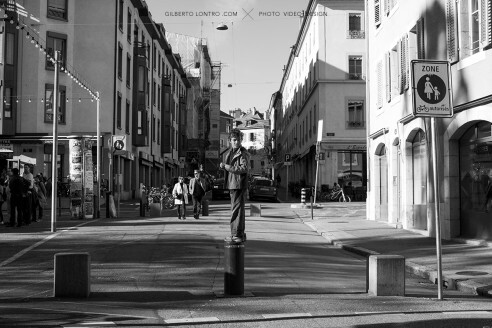 A kid stand on top of a street barrier defiantly looking at passers-by.